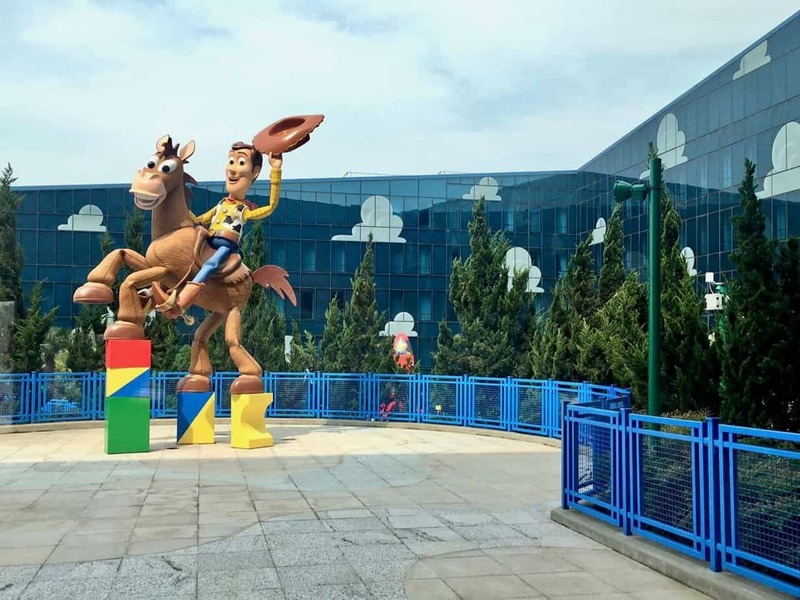 If you want to stay on property at Shanghai Disney Resort without breaking the bank, then the Toy Story Hotel is an excellent choice. 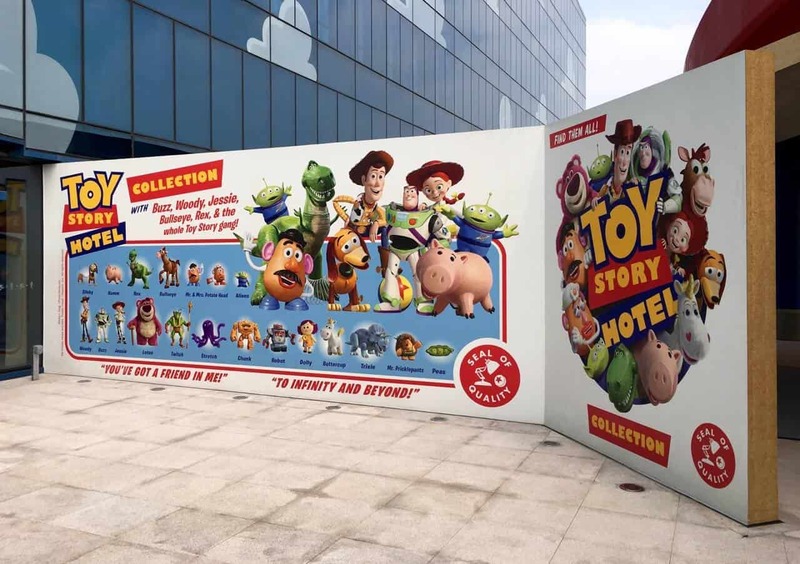 While not as eccentric as the Shanghai Disneyland Hotel, this is perfect for families and/or fans of the Toy Story Franchise. 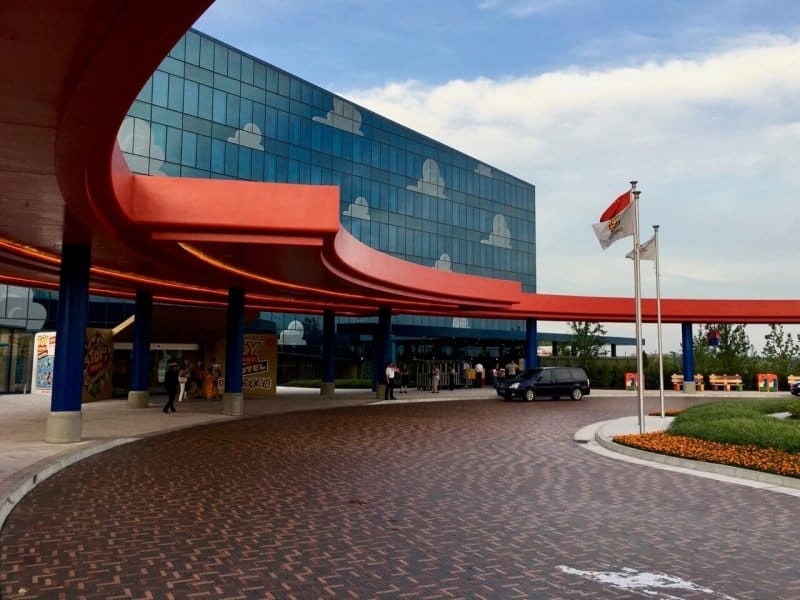 Our review covers the costs, descriptions of our room, and our thoughts on the restaurants and amenities. 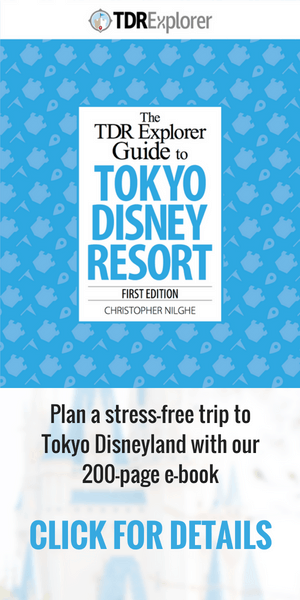 If you’re planning a trip to the newest Disney Resort, then make sure to check out our full planning guide (includes information on visas and sim cards), 4-part trip report, podcast episodes, and videos. Rooms start at ¥820 CNY for the Garden View (~$122 USD) for 2 adults. 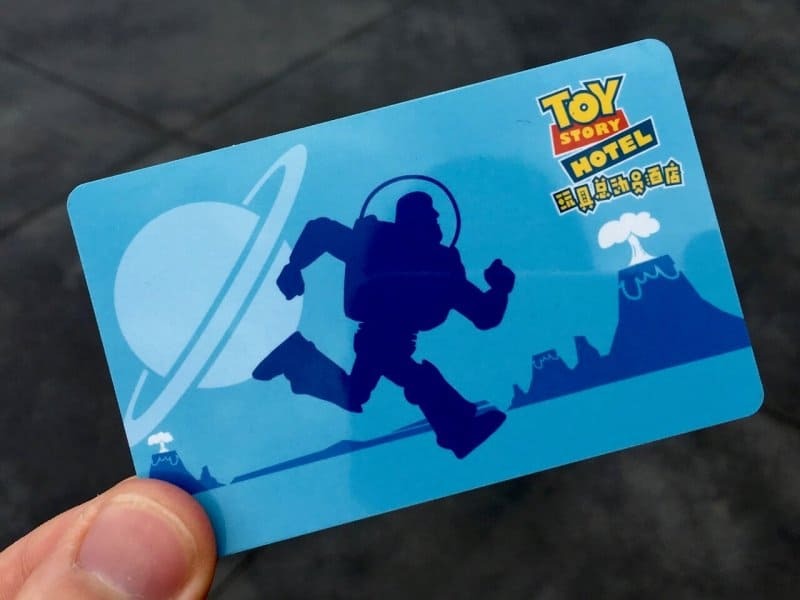 Unlike Hong Kong Disneyland or Tokyo Disney Resort Hotels, the entire length of your stay is charged in full to your credit card when you make your reservation. 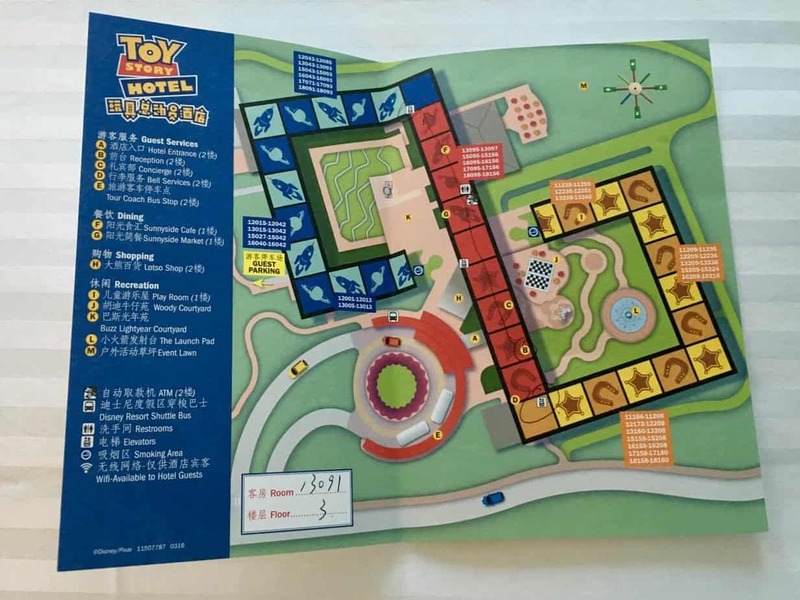 There is the Courtyard or Park View for ¥1,150 CNY (~$165 USD) and ¥1,450 CNY (~$208 USD), respectively. If you’re going for the budget stay, then stick with the Garden View, as I don’t think the other views are worth the extra cost. The easiest way to get to the Hotel — which is the same way we recommend getting to the Resort as a whole — is by taking a taxi from the Airport. The cost is about ~$20 USD one way. Taking public transportation is more complicated and if it’s your first time there, it’s best to avoid that frustration. As a caution, take a taxi from an official stand at the airport and ask the uniformed dispatch person what the cost is to the Resort and have them write it down. This is to avoid the taxi driver overcharging you — which happens in Shanghai. If the taxi driver asks to drop you off anywhere BUT the front of the hotel, make sure you insist they take you to the front of the hotel. This is another way to avoid any disputes in the price. 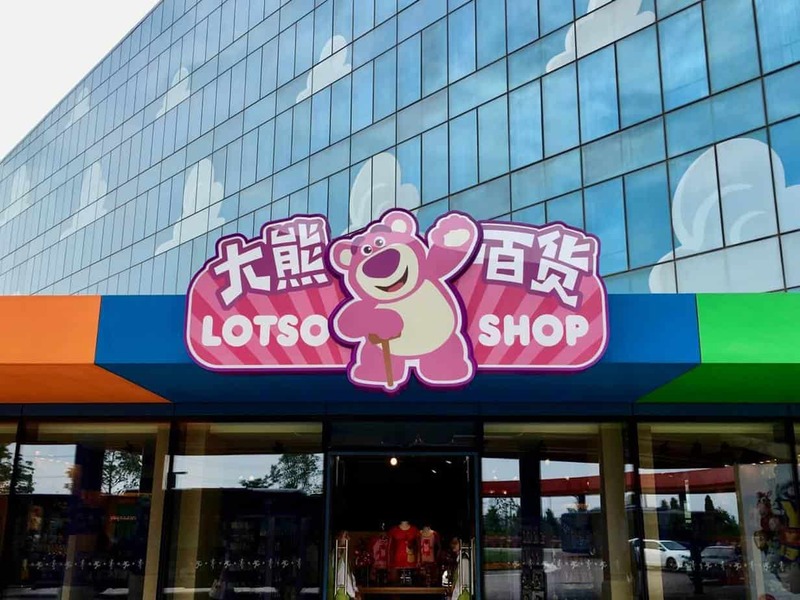 During our visit, we never encountered any problems. 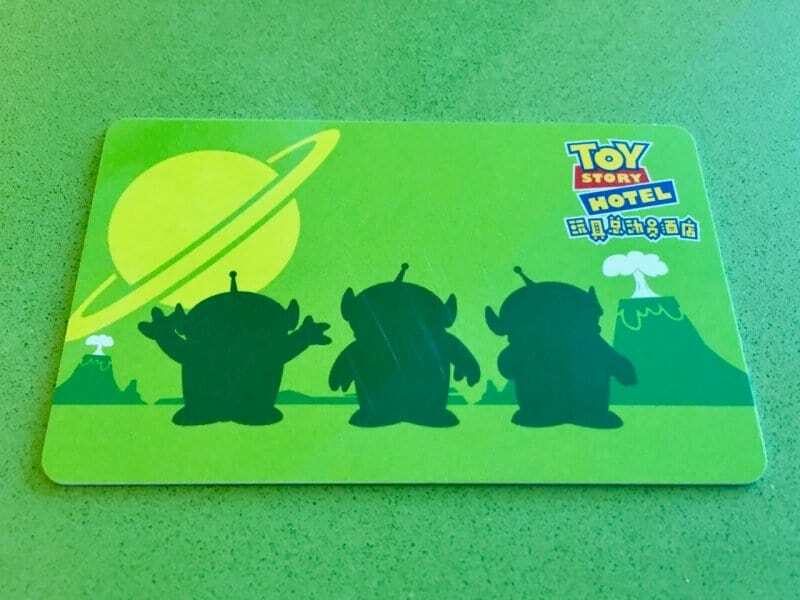 When taking a taxi from the Hotel, the Cast Members will give you a card with the approximate cost of the ride and they will hail the taxi for you. We stayed in the Garden View room, which had two double beds. 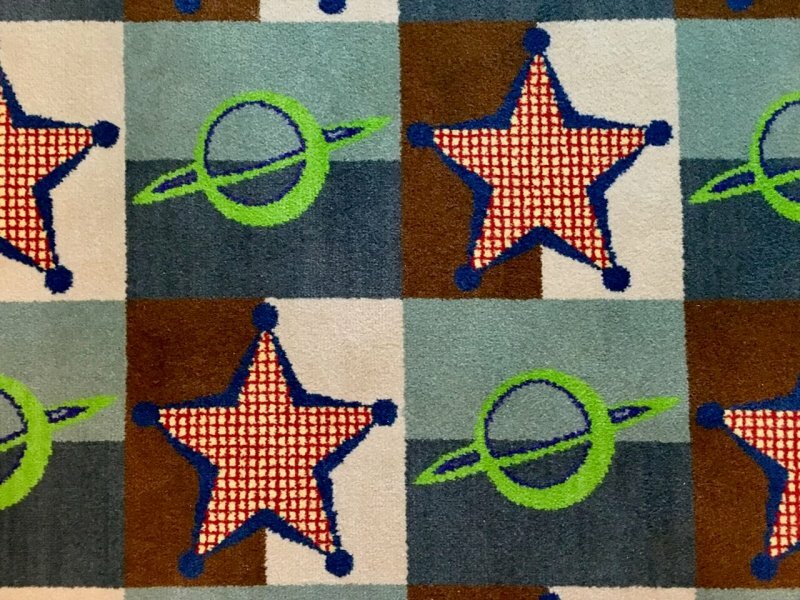 I am a huge fan of Toy Story, and while the theming wasn’t jaw-dropping, it was more than enough to satisfy my inner fandom love for this value hotel. 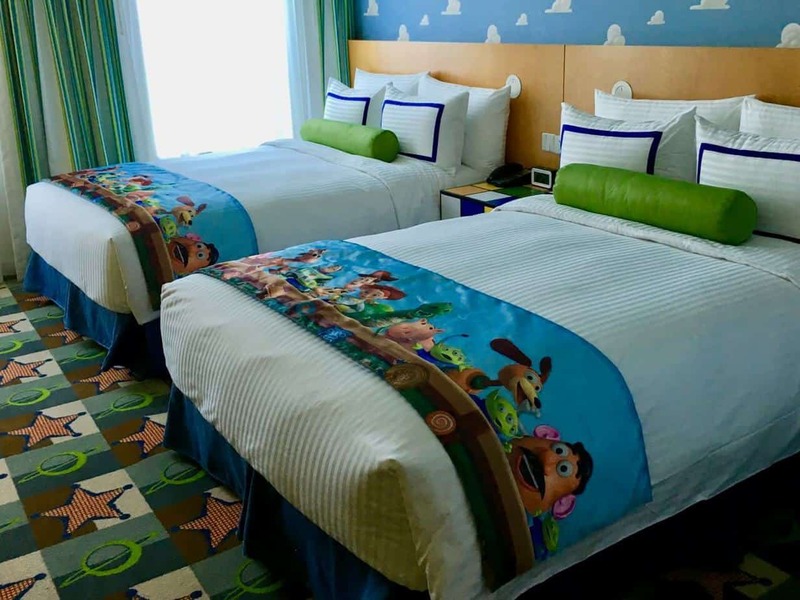 The bedding had coordinated Buzz Lightyear colours on the sheets and pillows with a Toy Story runner on the foot of the bed. Simple and subtle, which is the type of decor I prefer. 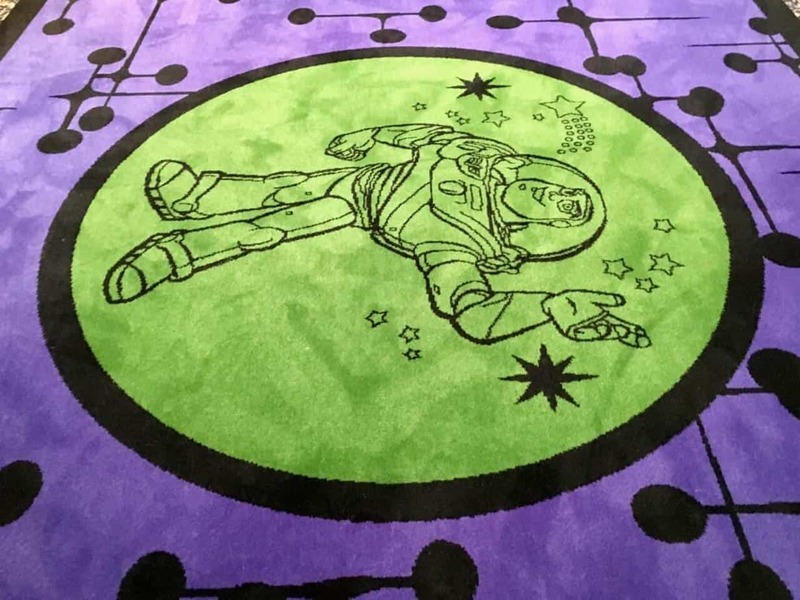 I adored the carpet and the portrait on the wall featuring the characters from Toy Story. 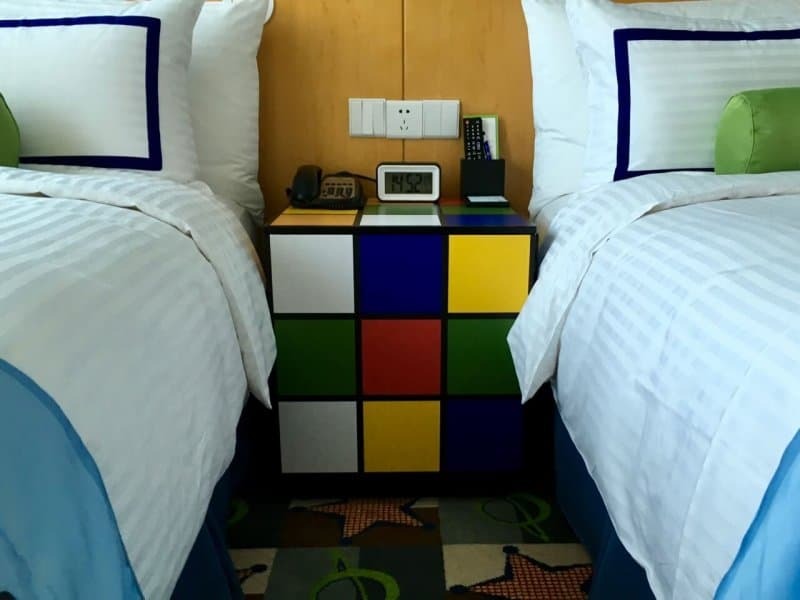 The nightstand between the beds was a Rubik’s cube. 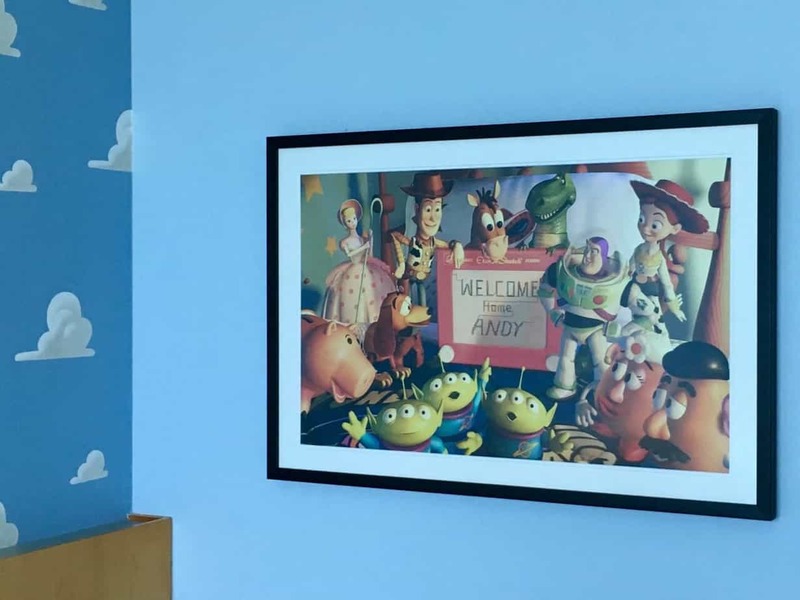 While playful, I felt it didn’t fit the rest of the room aesthetically, even though the overall theme is “Andy’s Room”. The wallpaper was blue with those recognizable white clouds. The wallpaper above the window was different and had a pattern with the Little Green Aliens. The bathroom was nothing special. 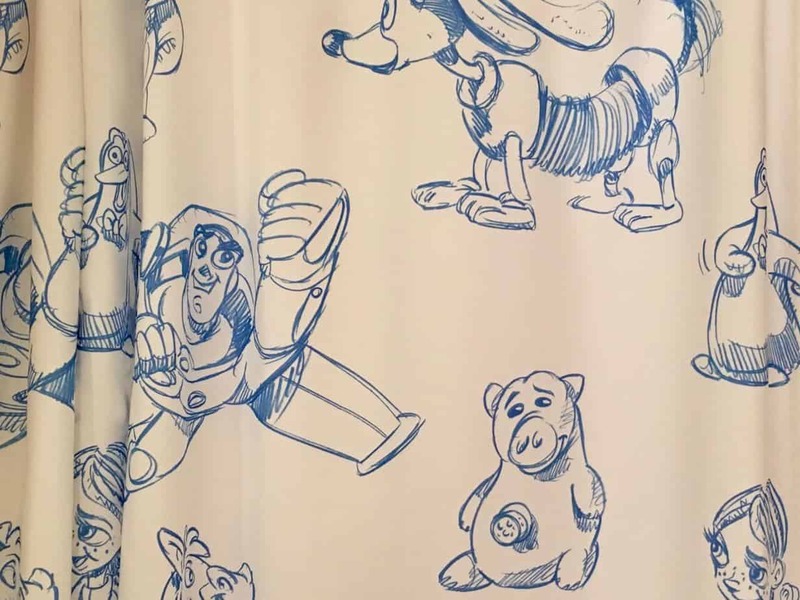 The only theming there was the cute curtain for the shower. 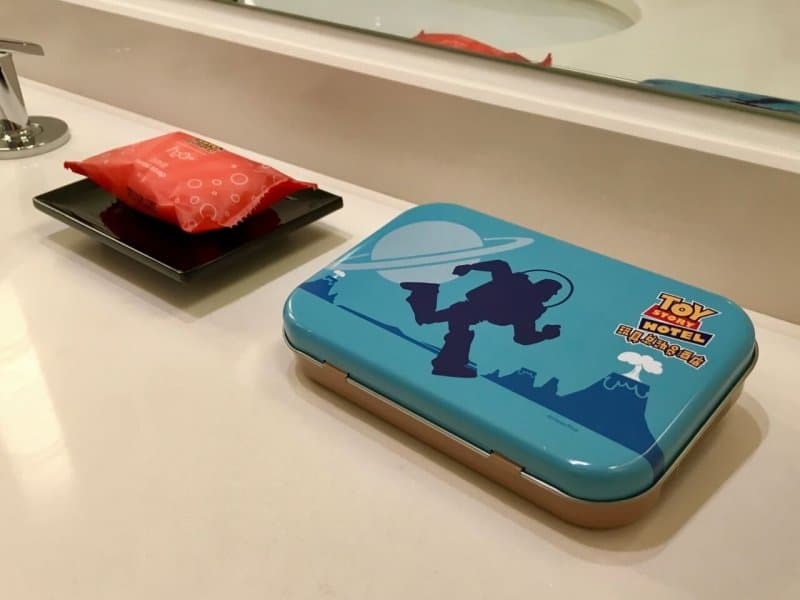 You did get an assortment of adorable toiletries with a tin case (which I kept, of course). The beds I found to be firm — which is my preference. I have read some found these hard, but I thought they were comfortable and certainly not hard. 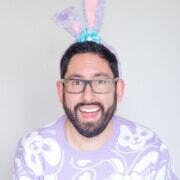 If you’re looking for a soft bed, though, this won’t be it. 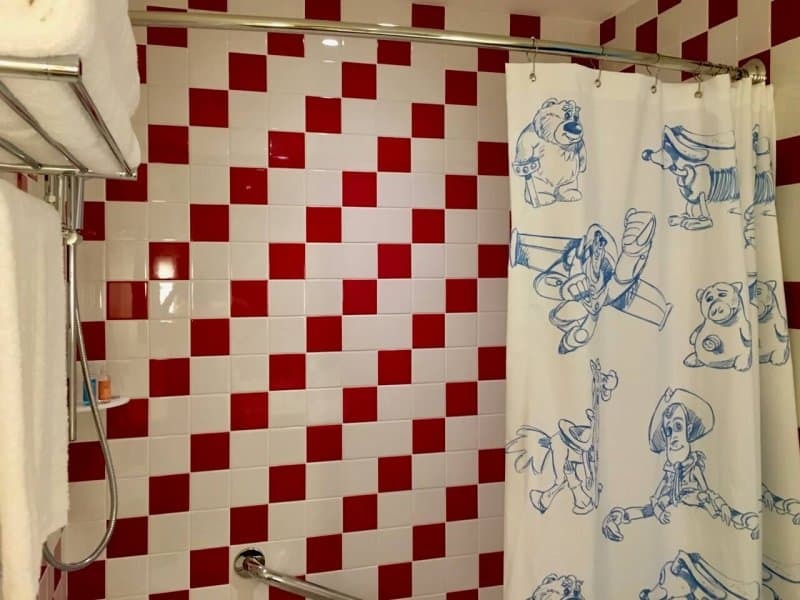 Overall, the room is well-themed and on par with what I think a value hotel is. The bathroom is underwhelming but functional. You aren’t spending a ton of time in there anyway, so it doesn’t matter, in my opinion. The room was spotless and in pristine condition during our stay (which makes sense since it’s new). If you’re looking to get something to eat, you can choose between the Sunnyside Café (counter-service) and Sunnyside Market. The Sunnyside Café has mainly Chinese cuisine, which depending on your preferences you are better off grabbing a treat from the Sunnyside Market. I recommend having a full meal at the park or Disneytown instead. The hotel doesn’t have a pool but does have a playroom for children. 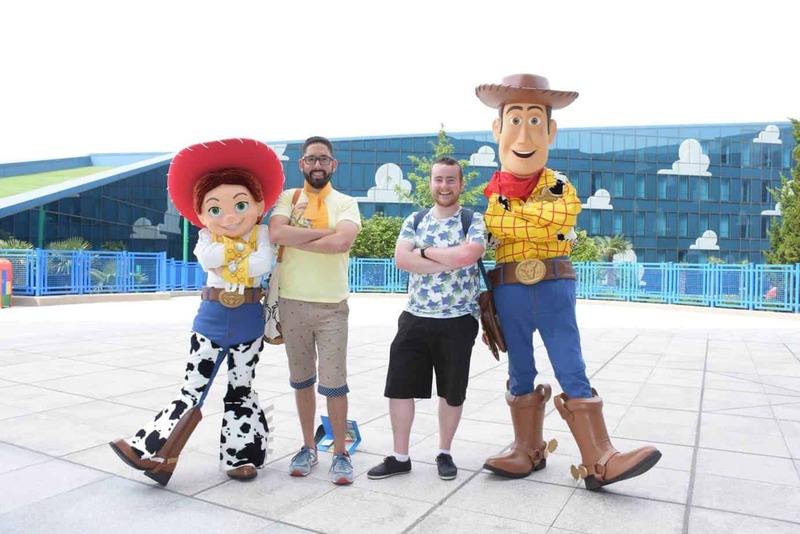 My favourite part of the hotel is the Woody and Jessie Meet and Greet just outside in the courtyard. There’s a small store attached to the lobby to grab those last-minute gifts. While the selection isn’t huge — hotel stores almost never offer the full line of items — it’s good enough. The resort has free wi-fi in the hotel, but the only downside is it’s behind the Great Firewall of China. Meaning, websites such as Google, Facebook, Twitter, and Instagram are blocked. 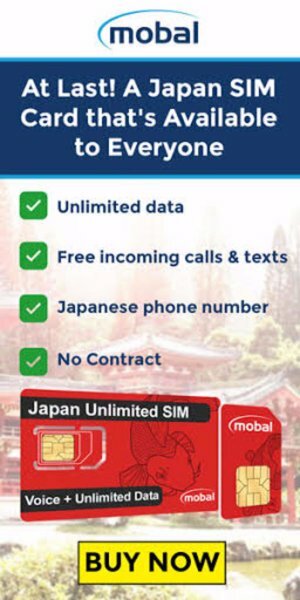 I recommend buying this SIM Card before your trip and you can use your unlocked device and access any website without issue. 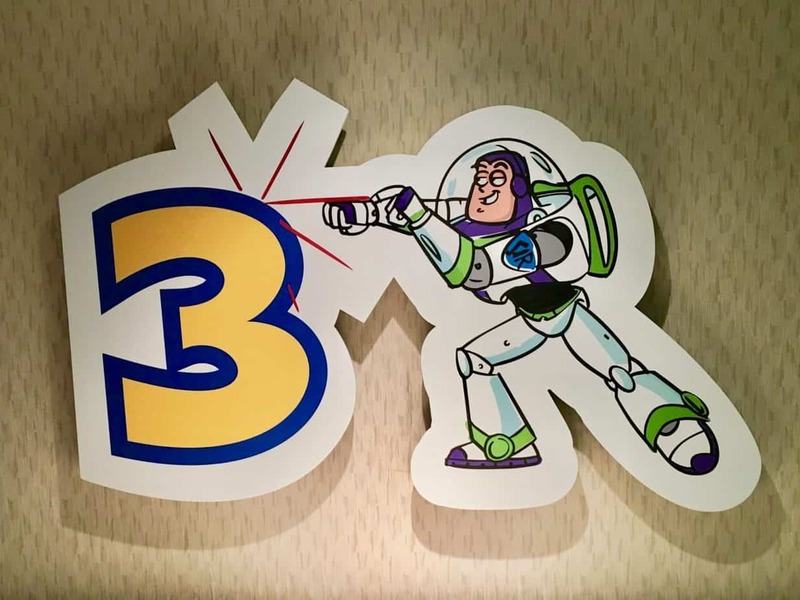 One-half of the hotel is themed to Buzz Lightyear, and the other half is Woody. The colour schemes and art on the walls are cute and clever. 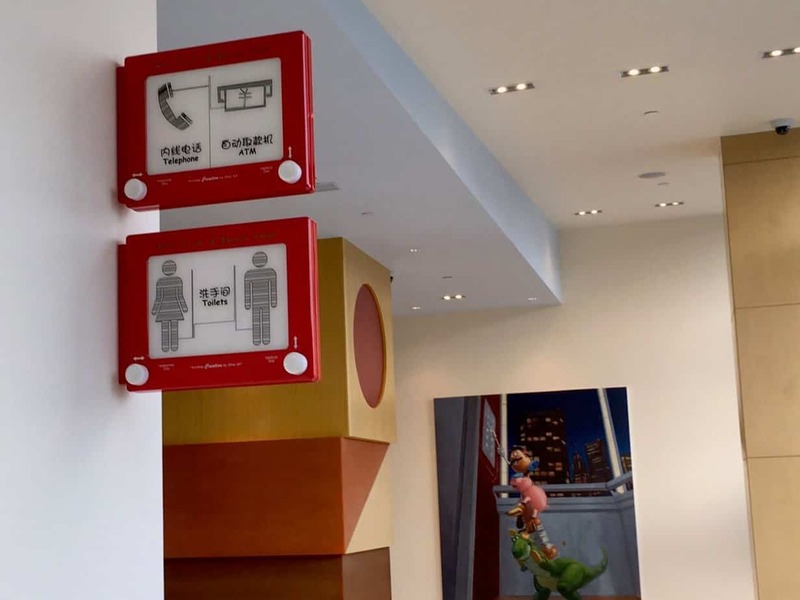 Various concept art and early drawings from the movies are scattered throughout the hotel. I laughed a bit too hard when taking the elevator. 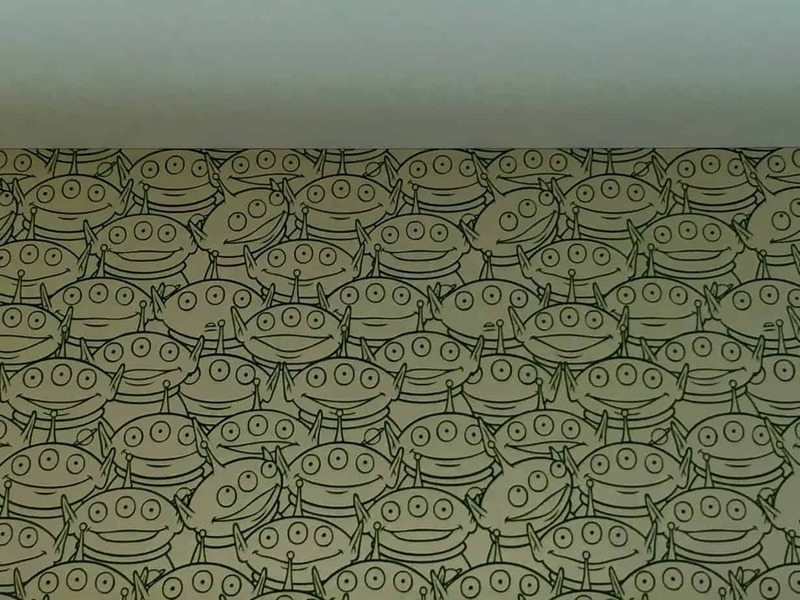 The little green aliens announce which floor you arrive on. They chant in unison “the lawwwwwwbeeeeee.” This was so unexpected that I couldn’t do anything but laugh. The exterior of the hotel is box-shaped (resembles an infinite symbol) and made out of glass with a cloud pattern. I am not a fan of this design (many aren’t, from what I saw), but I don’t think it’s terrible. You’re spending most of your time indoors anyway. There isn’t much to do outside, so this doesn’t bother me. 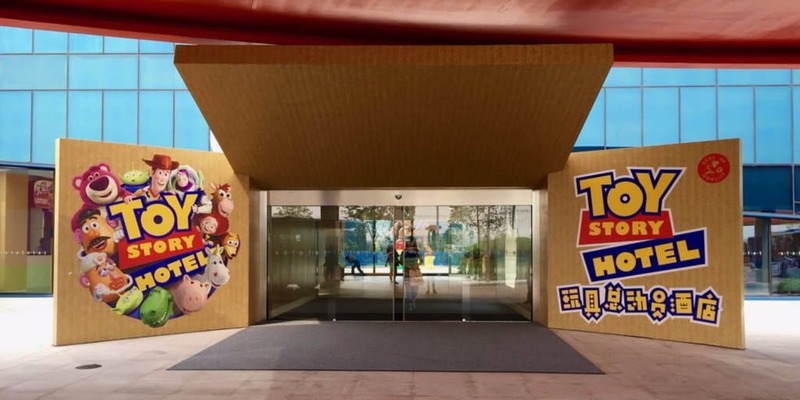 The entrance to the lobby is a clever design with the main doors being a cardboard box. 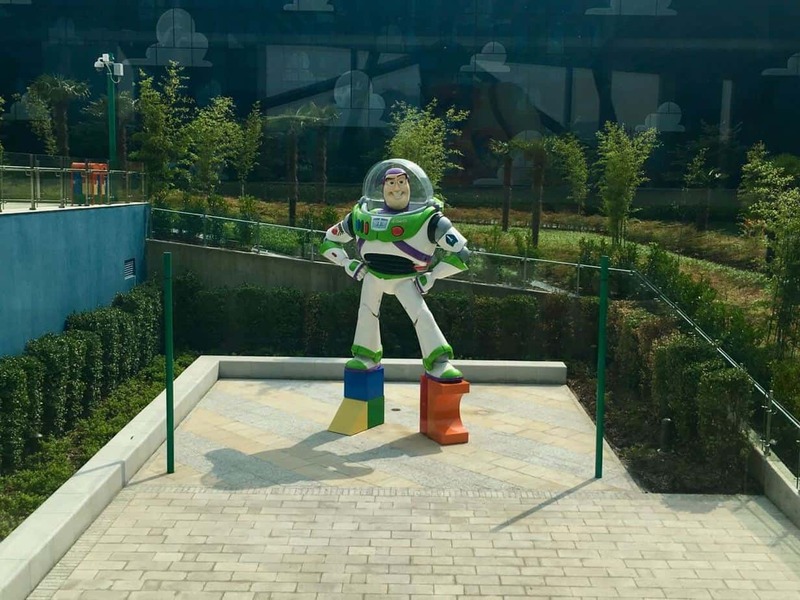 I thought it was fitting for the Toy Story theme. 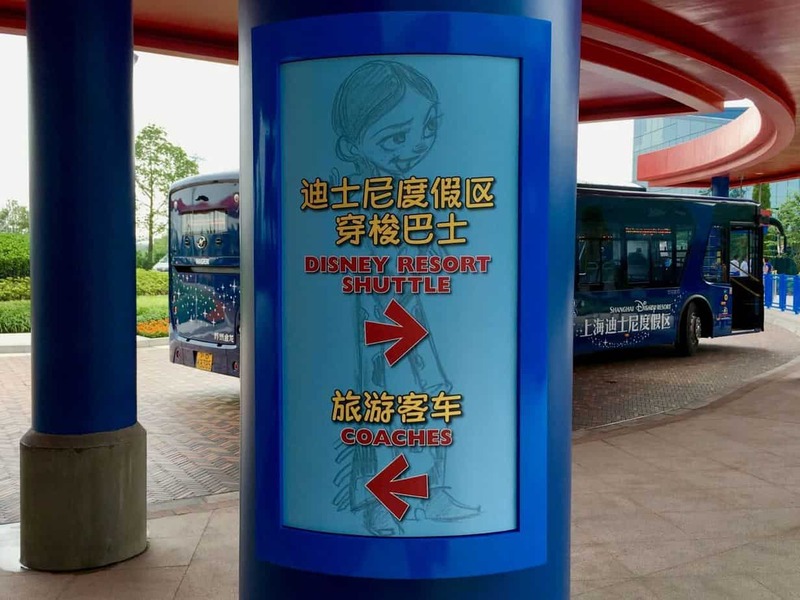 If you’re wanting to save money and still have the fully immersive Disney experience while at Shanghai Disney Resort, then this is your only option, which isn’t necessarily a bad thing. The theming in the room and throughout the hotel are on par with Toy Story. Not the best, but just good enough. For the price you pay for this hotel, this is more than adequate. If you want a much more elegant experience, then you’ll want the Shanghai Disneyland Hotel. 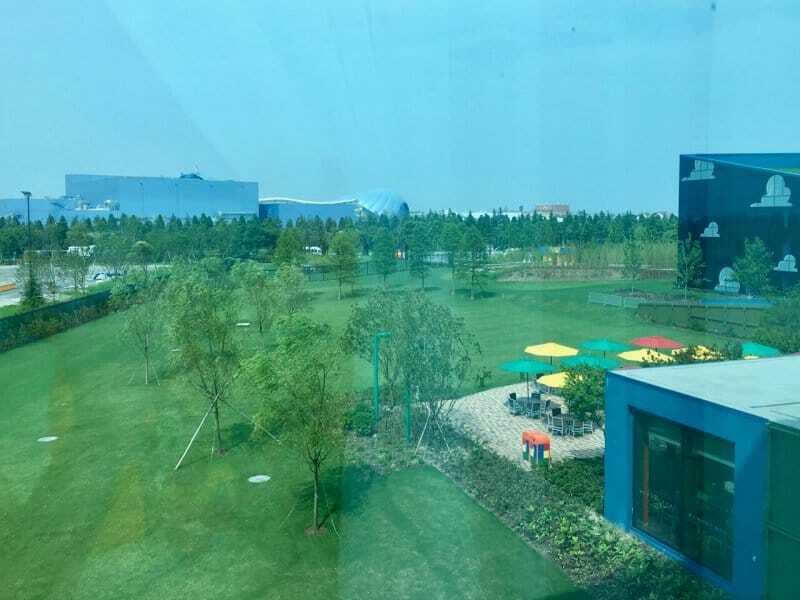 Or, if you’re not too picky on where you stay and don’t care to stay in a Disney Hotel, then I recommend The QUBE (which is closer to the centre of the city and only 10-minutes by taxi to Shanghai Disneyland). 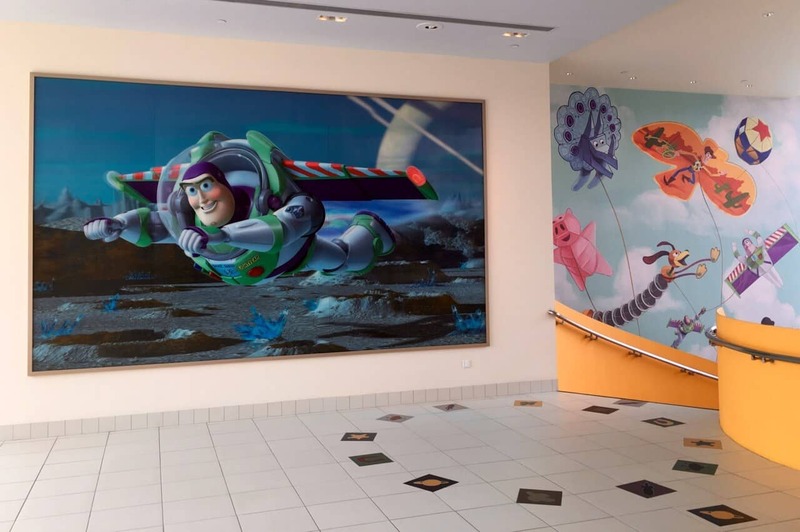 Overall, I enjoyed the Toy Story Hotel and would stay there again without hesitation. 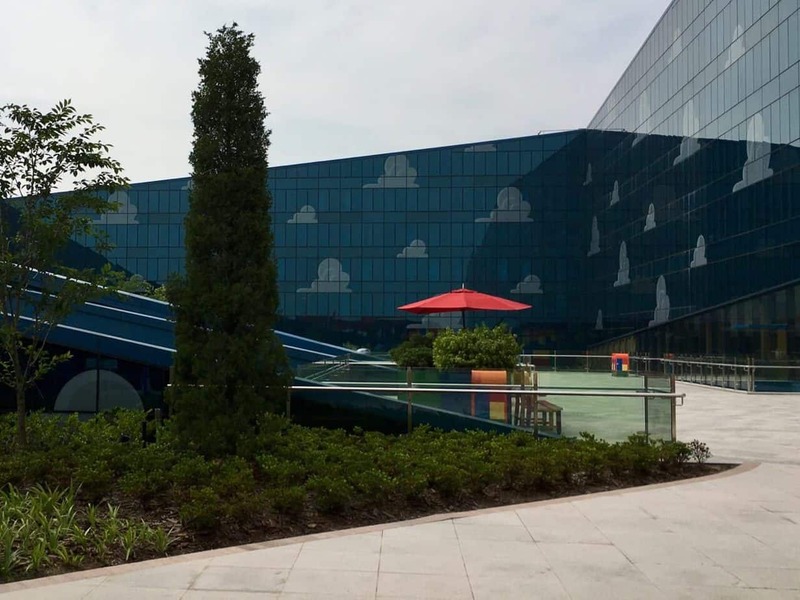 From the clean and comfortable rooms to the fun Toy Story aesthetic, I recommend staying here for your trip to Shanghai Disney Resort. The park tickets are not included in the price of the hotel. 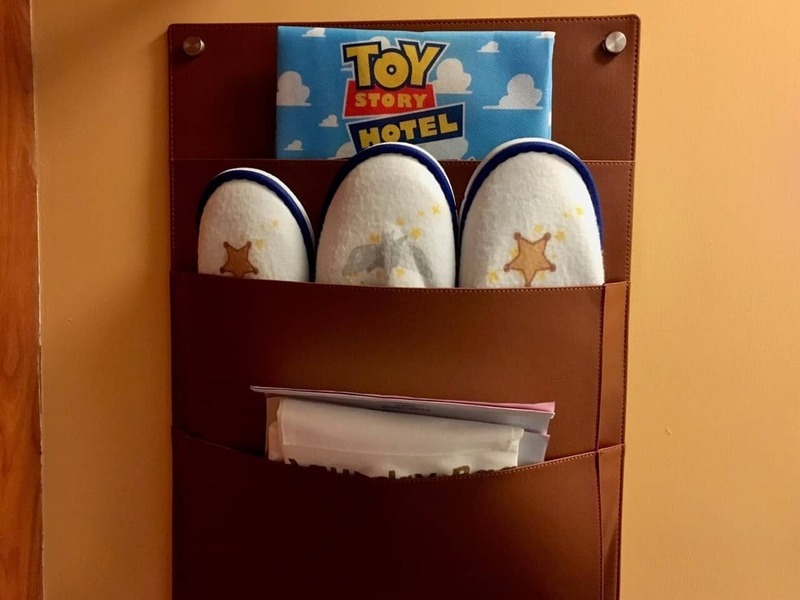 You can buy them right at the hotel 🙂 Have a wonderful trip! Do you remember how much they charged as incidentals deposit per night as at HK DL it was a hefty 1000 HK dollars per room per night (which they decided not to charge us for who knows what reason neither at the Hollywood hotel not DLH Kingdom club)? Thanks. Thanks for the great article. One question: Is there a separate park entrance for hotel guests in the morning? I think I read about it somewhere but I can’t find it again. Also, what is the specific requirement to use it if there is one. Thanks. My sister uses a wheelchair, so for me this is a normal question, but not for all. What are the bathrooms like? Are they a shower only? Or is it a bath and shower combo? 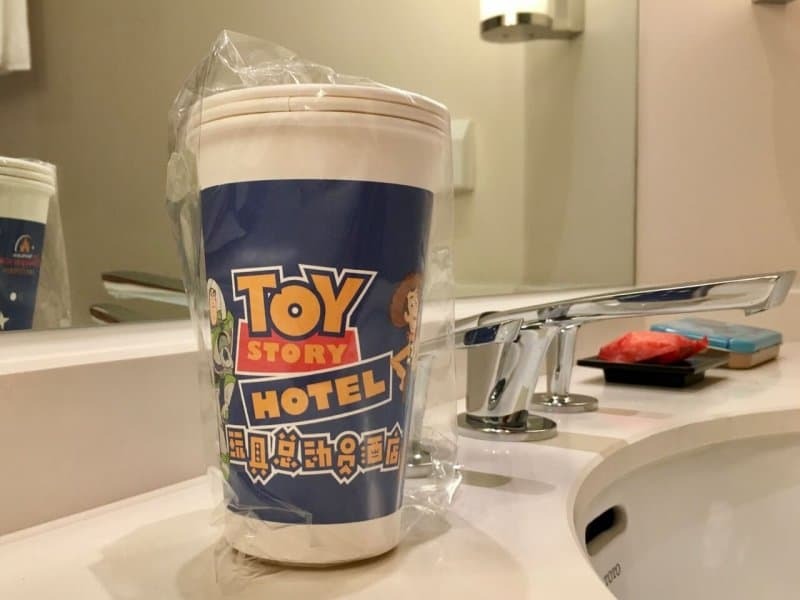 We stayed at Hollywood hotel in Hong Kong and had some issues with the accessible room, as the terminally we use in Australia re showers is a little different.